This page is dedicated to my beloved Goldie. She had a brain tumor. i had to put her down in June, the very day i started this business. What started off as an exciting day ended in devastation. She will always be in our hearts. 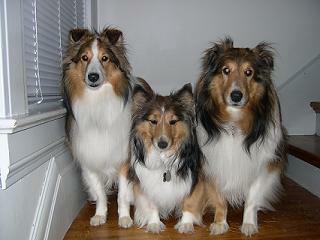 I am still sheltie mom and these are my kids! !